Mamma had been here before with her school tribe but had never ventured to all corners of these STUNNING garden. We are talking 15 hectares and hundreds of metres of trails in the protected space in Cranbourne East. You know you are heading into a real nature zone as you read signs warning you about snakes, wallabies, bandicoots and other local residents. As you enter the gardens you will be blown away by the iconic red soil of the desert sand but you can't stop there. Mamma recommends you explore the gardens in a somewhat clockwise direction and head to your left, following the eucalyptus walk, give the rain makers a spin, stop at the sandpit at the top of the hill, explore the weird and wonderful garden, then wind through the Gondwana gardens before reaching to wetlands at the bottom. Mamma is a little nervous with the amount of open water in this end of the park - lucky there is a kiosk for a coffee break- but with Bub's hand firmly in mine we continued on our circle formation to the children's garden - where you will be spending much of your time. 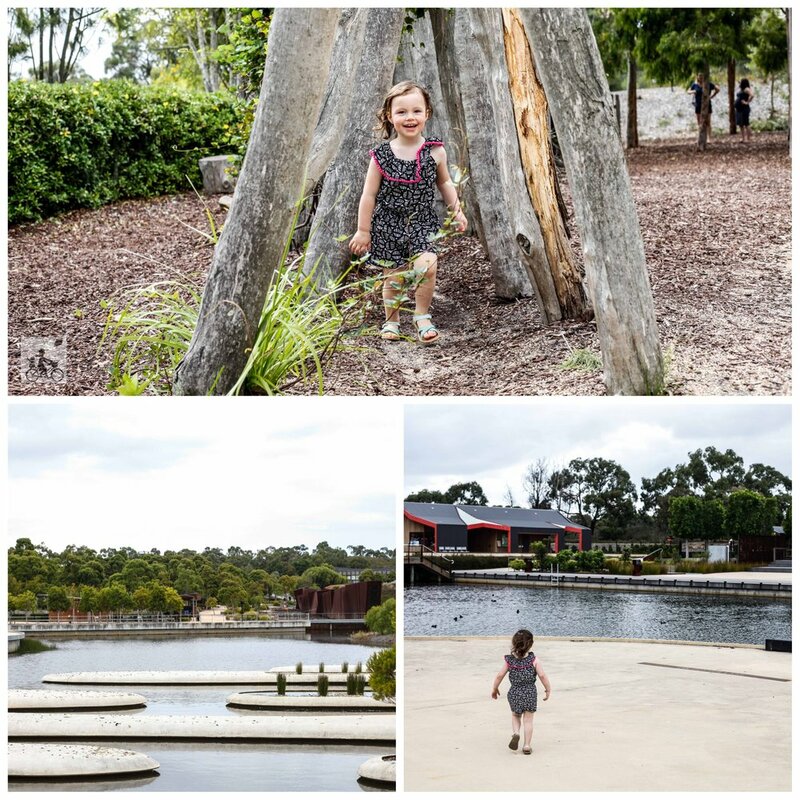 A wooden playground with plenty of natural elements including a tree canopy tunnel. Alongside you will find a rocky sandpit, chalkboards and Mamma's all time favourite water play! Provided you stay between the flags, you can step into the paved river hoping from square to square. The water runs on a loop and almost comes to a standstill if you paddle for long enough. Quick enough however, the 'tap' turns back on and the river gushes at full force again! Mamma's special mentions: pack a change of clothes. Once the kids (big and small) catch sight of the river they will want to paddle. The school holidays always has a hive of activity happening in the gardens - CLICK HERE to see what is planned this autumn.